Bipartisanship, baby! Congress finally found something to agree on this Super Tuesday—how slippery the FBI’s stance on encryption is. At a House Judiciary hearing on Capitol Hill, representatives grilled FBI Director James Comey and Apple’s lawyers over their ongoing battle. The key to the dispute is whether the FBI can compel Apple to create software that would unlock a terrorism suspect’s iPhone. Remember that important court ruling in favor of Apple yesterday, where a judge denied that the government can use All Writs to force Apple to unlock an iPhone? According to Comey, he didn’t bother to read it before testifying about this case...where the government is attempting to use All Writs to force Apple to assist in unlocking an iPhone. His avoidance of such an obviously important court ruling is willful blindness. Comey posed a hypothetical to illustrate that the custom software probably did already exist, at least in the brains of Apple employees: What if Apple engineers got kidnapped and forced to write the backdoor? 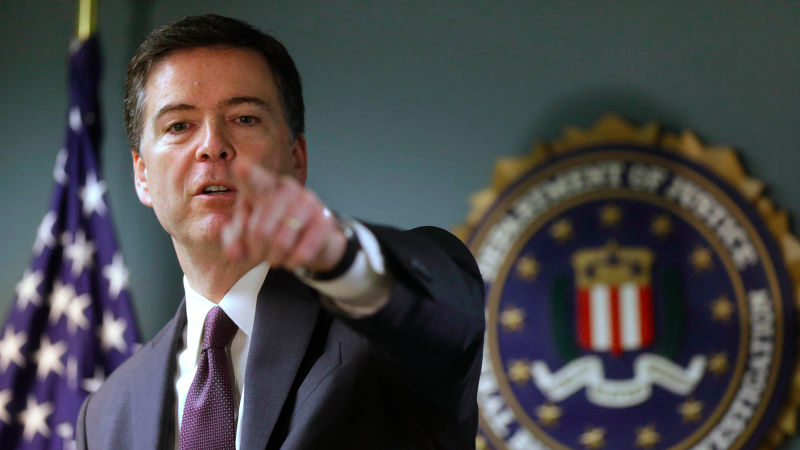 When asked how many other agencies the FBI had asked for help, Comey said that people who “watch too much TV” exaggerate the technical capabilities of government agencies. He did directly respond to a question about whether the NSA helped. His answer: No, the NSA couldn’t do it. As The Intercept’s Jenna Maclaughin pointed out, that means Comey is either lying on record or the NSA really couldn’t do it. Maybe I watch too much TV, but I’m guessing it’s the first one. Comey said that the FBI could not mirror the phone in question. Why? “For reasons I don’t completely understand,” he said. When asked repeatedly if he believes that Congress should make privacy decisions rather than the courts, Comey wouldn’t give a straight answer. Once again, Comey insisted the main problem was that smart people weren’t thinking hard enough about solving this problem. “I don’t believe the most creative people in this country has been given the incentive to solve this problem,” he said. Comey said that there was no safe, basement, or other locked-up place in America that was inaccessible to law enforcement before the advent of the iPhone. For that claim to be true, it would mean that law enforcement can crack any code created before 2007, even hand-written code. Comey repeated his line that the Apple situation was a “business model” problem. When asked if he’d considered the implications of Chinese encryption policy before pursuing the court order, Comey said “no.” Which means, again, he’s either lying in front of Congress, or he’s willfully ignorant. Members of Congress thanked Comey for furthering dialog at the end of the session, but the only thing the FBI Director cleared up is how flexible his relationship with truth is. The only time he spoke an unambiguous truth was when he said that Apple is a company with a responsibility to its investors, and that it is motivated to maximize profit. Comey compared Apple’s security measures to a “vicious guard dog.” It’s a bizarre metaphor, but here’s a match: The FBI sent a clown to Congress today, spewing silliness to distract from the agency’s objective to expand its surveillance powers.